Plantes - Gewassen. 1.2.3.4. de la Nle. 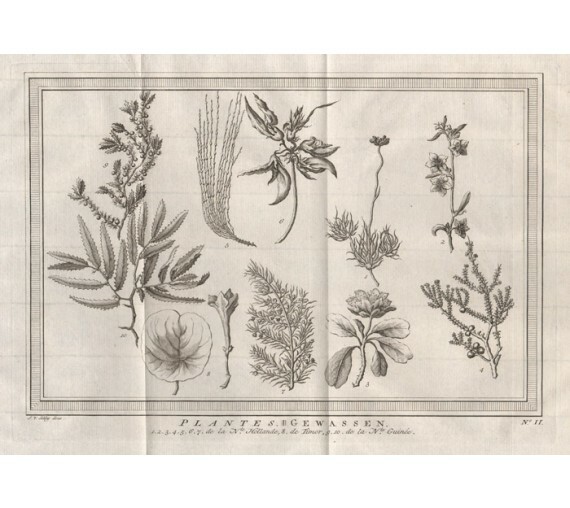 Hollande, 5.6.7.8. du Brasil' Some of the Australian plants represented are 1 Conostylis styloides, 2 Sida calyxhymenia 3 Diplolaena grandiflora and 4 Beaufortia sprenglioides. 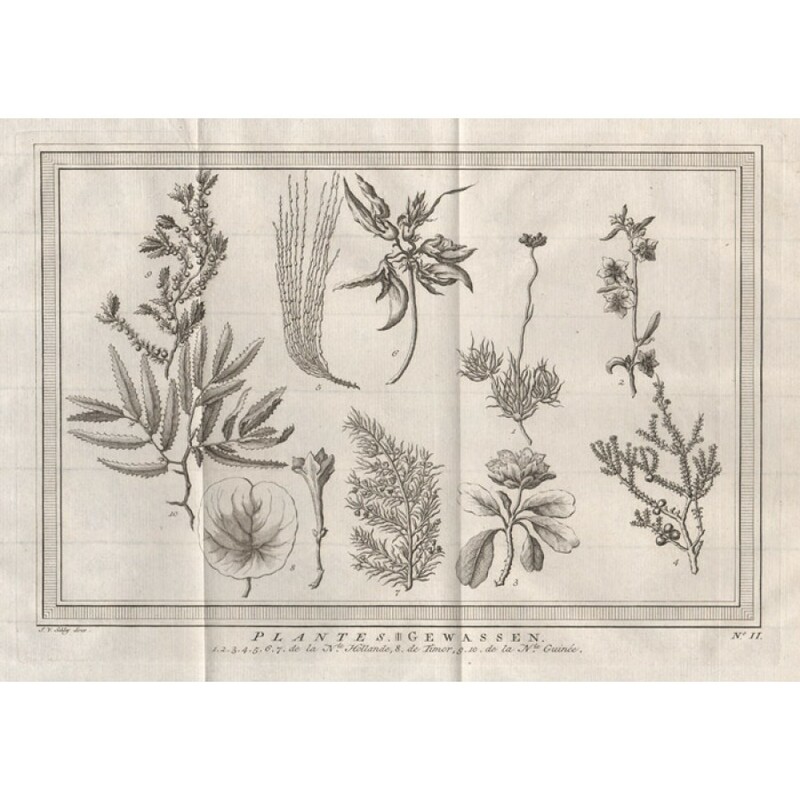 Ref : H. Hewson, Australia 300 Years of Botanical Illustration. 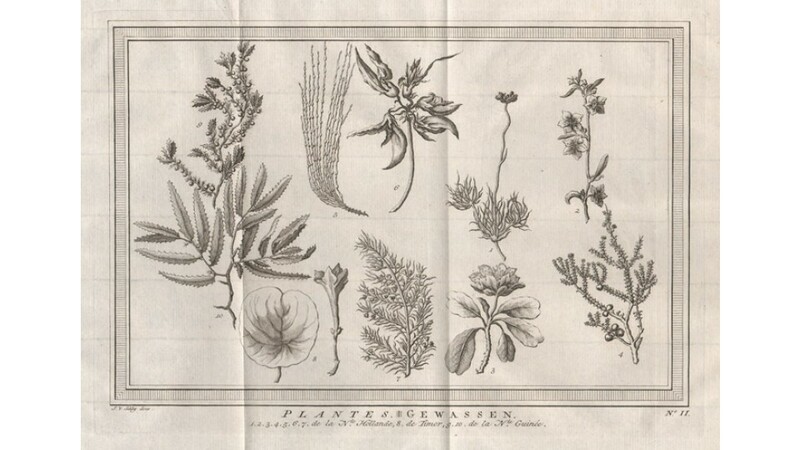 Depicts Australian botanical species published previously in William Dampier's 'A voyage to New Holland', published in 1703, which contained the first published images of Australian flora. From the Dutch edition of Abbe Prevost's 'Histoire generale des voyages...,' published in The Hague by P. de Hondt, 1747-1780. Two vertical folds as issued.